A FORMER national junior snooker champion from Gosport has received a major boost in his bid to turn professional. Mark Lloyd has been given £500 towards the £600 cost of a place at World Snooker’s Q School by the boss of his home club. The 18-year-old, who has been based at Stoke Snooker Club since the age of six, thanked owner Dave Norman for his generous gesture. 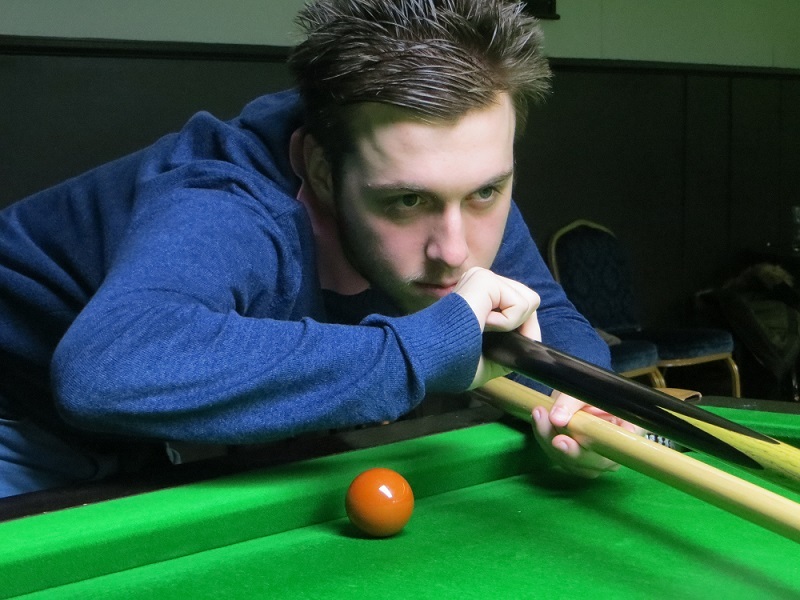 Soon after this surprise announcement at the club’s presentation evening, Lloyd recorded his second maximum 147 break in a practice match against Robin Kendall. Reflecting on his chances of gaining a two-year tour card via the end-of-season Q School, Lloyd said: “Everyone would love to turn professional. “But, realistically, I’d like to go there and do my best to compete with the best amateurs in the world, gain some experience and then see how my game is. “I just hope to keep improving and gaining more experience from these bigger events to strengthen my game. Lloyd, who won the English Under-16 Championship in 2015 and the Under-18 title the following year, is currently lying fifth on the EASB Premier Junior Tour, a national circuit for the country’s best 32 amateurs aged under-21.